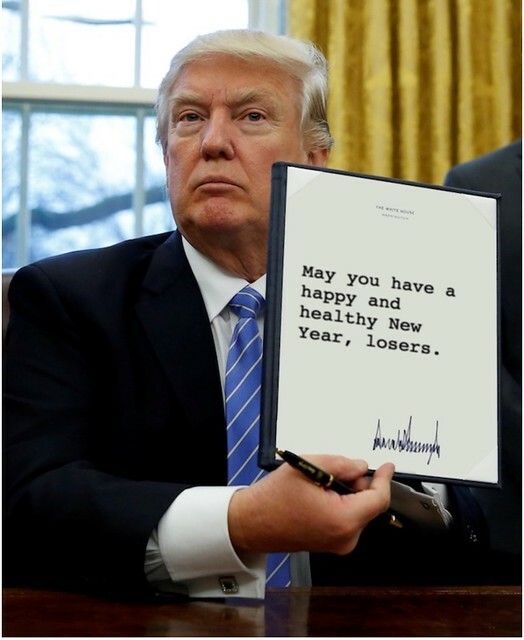 happy new year, and thanks for all the loltrumps! The article about the Congressional Black Caucus and the president’s possible infrastructure plans is exactly a year old. It takes a bit of casual reading to catch this, as one notices the references to the ‘president-elect’, ‘Mr. Bannon’ having been appointed to the White House staff, ‘outgoing Senate Minority Leader Reid’ of Nevada, etc. As such it’s a quaint read, as the black Democrats discuss their responses to Trump’s expected wave of legislation in the spring of 2017. Was it included in the “Links” for this week ironically, or in error?